JET Schipperkes is home to Group Winning and BISS winning Schipperkes. Jet Schipperkes has been active since 1990 and is owned by Susan Woodliffe. The Schipperkes live on a lovely fully fenced acreage near Spruce Grove Alberta. The Schipperkes are show dogs, family companions, obedience titled and some have HIC titles. It is my wish to share my passion for this wonderful breed with you. 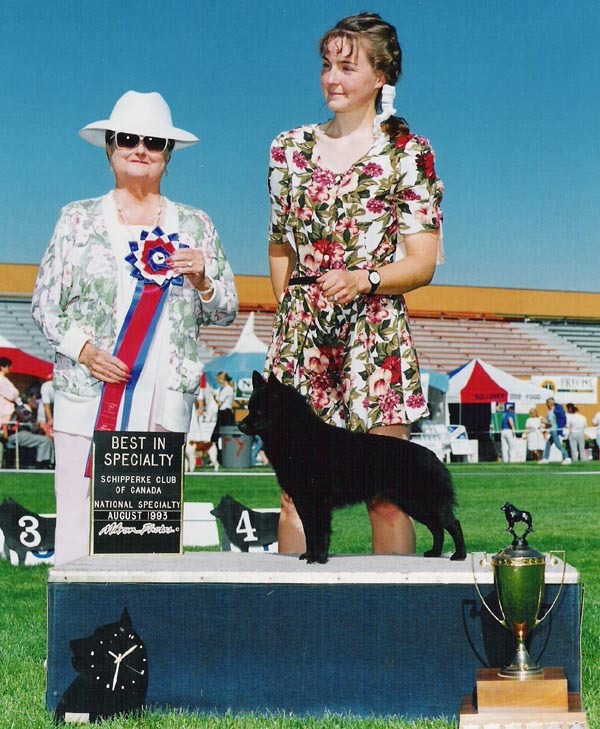 Active member of the Canadian Kennel Club and the Schipperke Club of Canada. Jet Schipperkes promotes responsible breeding. Choose from a reputable breeder for lifelong support of your new family pet.